Words of Appreciation sent to MediScan from the couple. Mono chronic twins with selective growth restriction & Twins to Twins Transfusion Syndrome. Treated by a new technique "LASER PHOTO COAGULATION". Birth of a healthy baby boy weighing 2.8kg at 36 weeks. 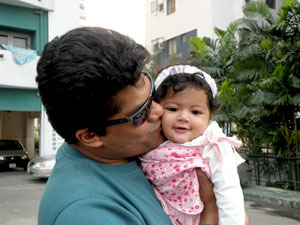 Ayesha completed 6 months on 4th of February. In all her milestones and celebrations we keep remembering you both and our wonderful experience in Chennai. You took so much care to make us comfortable and we can never forget the way you took care of Ayesha even before she was born. 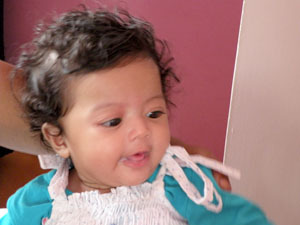 Ayesha now smiles and laughs and is now trying to crawl. 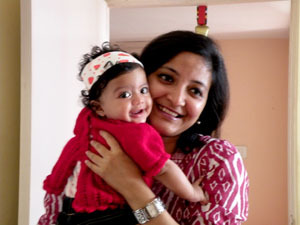 She is such a happy baby (touchwood). She makes our heart melt everytime she laughs and has brought so much joy to our lives. 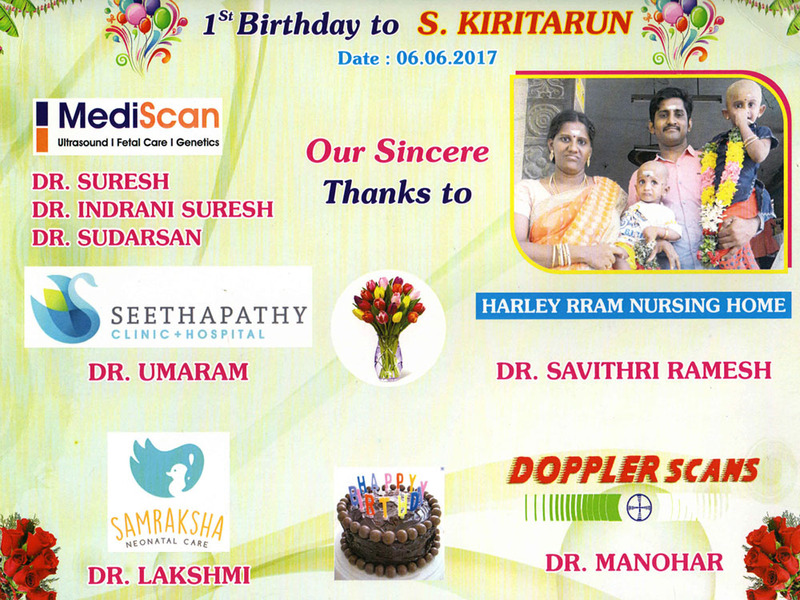 We want to share some of her recent pictures and we will definitely try to visit Mediscan once she completes one year. We have such happy memories of Chennai. Am attaching some of her snaps, hope you enjoy them. This is Magesh & Periasamy (A Chrioangioma patient). Magesh has delivered a baby girl couple of minutes before. I am penning this message to thank you for all your immense help & support during the pregnancy. We learned real good things from you at MediScan which chnaged our attitude and influenced us to be kind & nice to the fellow people. We are sure that it will make us good parents too. Thank you very much for being our exemplery doctor.